Consumers today use social media sites to get reviews and more information on various service providers. Many car dealerships understand that most consumers are reading these reviews, and they may incorporate feedback into their social media marketing strategy. Many dealerships, however, are falling short of benefiting from the full potential that social media marketing can provide. Here are some ways to better utilize social media. Through social media marketing, you can narrow down your target audience based on gender, location, and even income level with a great deal of precision, which enables you to reach your target audience more effectively. To measure your social media return on investment (ROI), you must understand that the clicks, likes, and shares on social media sites have value. These increase your visibility and can improve your search engine rankings as well. Increased traffic and rankings may ultimately lead to improved sales and profitability. 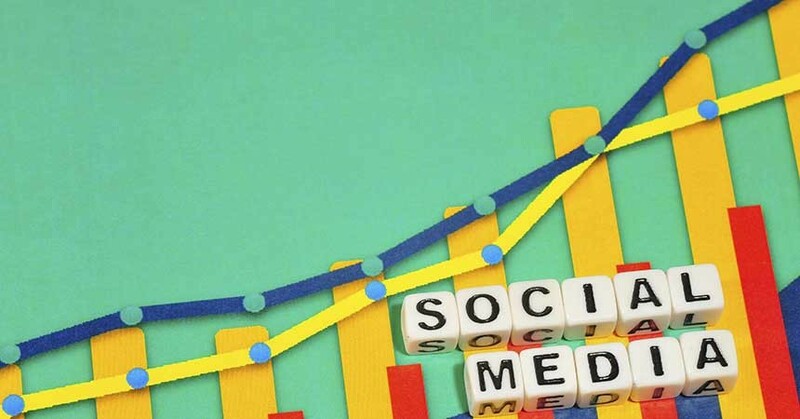 In order to maximize ROI for social media marketing, it is necessary to understand who your target audience is and to choose a platform that appeals to that audience. First, you should understand that not all social networks are the same, and some may be more appealing to different age groups or may be used more for personal versus professional networking. For example, Facebook has almost universal appeal that is, however, starting to dwindle for younger age groups. Younger adults may be more inclined to use Instagram and Twitter than Facebook. Businesses use LinkedIn, Twitter, and Facebook more often than other social media platforms. By researching which platforms your target audience uses most frequently, you can use social media to communicate directly to them. Many auto dealerships make the mistake of using social media as a form of one-way communication. Although you can get moderate results by applying this method, it is usually best to actively engage with your customers. You want to establish a conversation with them to build brand awareness and to increase their interest in your products. Responding to all comments, especially negative ones, is important because it gives you the opportunity to correct false information and to show that you care about your customers. You also want to provide your target audience with useful information that they may be interested in sharing such as news, stories relevant to your business, statistics, graphs, and videos. When used effectively, social media marketing can improve consumer loyalty. Followers who view your tweets and posts today may not be ready to purchase a new car from you now, but you can use social media to build a relationship that may be beneficial to you in the future. You want your customers to develop a personal relationship with your business, and this can be accomplished by personalizing your accounts. Although you have a business account, let customers know which managers or salespeople are responding to different posts and comments. Building relationships is not something that is done overnight, but the time and effort can pay off. The following social media tools can help you save a considerable amount of time and effort, but there are some drawbacks. For example, they take away the opportunity to personalize your account, and you may come across as being distant. Buffer (buffer.com) enables you to automate posts to social networks. Feedly (feedly.com) locates relevant news stories and articles to share when you use targeted keyword searches. Triberr (triberr.com) essentially provides you with the benefits of Feedly while also giving you some insight into which stories may be most interesting to your target audience. Chime.In (chime.in) allows you to easily share content with others, which makes it easier and faster for you to find relevant information to include in your posts. IFTTT (ifttt.com) enables you to automate various other tools and apps. For example, through IFTTT, you could use Buffer to share your latest Feedly sources. SavePublishing (savepublishing.com) is a necessity if you use Twitter. This site extracts or essentially creates tweets for you based on the tweetable sentences in the article that you want to share. Social media marketing can be used to help you build relationships, but you should always keep in mind that these platforms are best used for social, two-way interaction rather than static communication. Now is a great time to consider how you are using social medial strategies to sell your cars online. How have you incorporated social media in your dealership’s advertising campaign? Have you quantified its benefits? Matthew Young is a freelance automotive journalist and blogger hailing from Boston. He is passionate about everything on four wheels and new, emerging tech in the industry. When Matthew is not busy writing about cars or awesome new technology, he usually spends time fiddling with his camera and learning a thing or two about photography. You can reach Matthew on Twitter @mattbeardyoung.